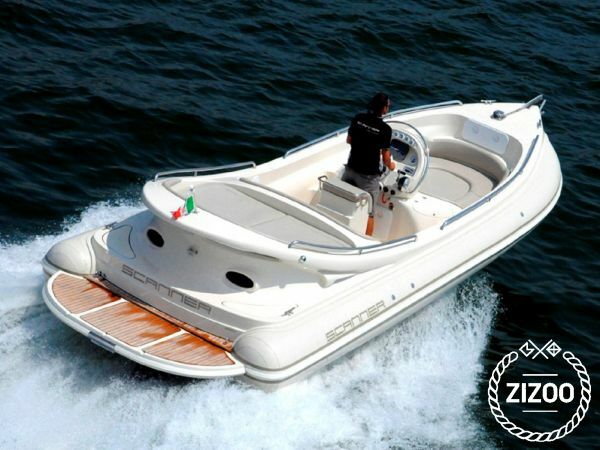 A perfect boat for families and small groups to enjoy the area of ​​the south east of Mallorca. Our boat is rented with or without skipper. Prices do not include capitan, final cleaning and gasoline! In case of taking the boat with capitan for half a day has an additional cost of 90€, for full day 160€. The final cleaning in all cases is 30€. In case of taking the boat with skipper, we will be accompanied by our professional captain, who knows the boat very well and also the area. With him they could enjoy a perfect day on board. It will teach you the most beautiful and unique coves and stop to see the sunset so special on the board of such a beautiful boat in the middle of the sea. In case of taking the boat without skipper, you will need a license for boats up to 8 meters! They could pick up the boat in the port of Andratx and they have to leave also there in the same state and dock as and where they have picked it up! We speak of a very careful boat with plenty of room to sunbathe on several chairs or chairs. It has a removable table in the bow to enjoy meals or dinners with a good wine or champagne on board. The boat is rented for half or a whole day. There is also possibility to rent several days. Half day will be from 10:00 until 14:00, if you want to rent in the morning or from 4:00 p.m. until 8:00 p.m. in case you want to enjoy the sunset. Full day will mean 8 hours on the board from 10:00 until 6:00 p.m. We are willing to change our schedules in case of interest. The boat is caught and left in the Port of Andratx. We recommend you visit some very beautiful and uniquasted coves around the port. La Cala d'Egos, the coves of Sant Elm or the Island of Dragonera, Cala en Basset, if you visit the northern part. Or if you prefer to go south you will find Cala Llamp, Cala d'en Monjo, Cala Fornells, Paguera or even the beaches of Santa Ponsa. We are sure that on board our ship they would have a very special day with very nice memories!